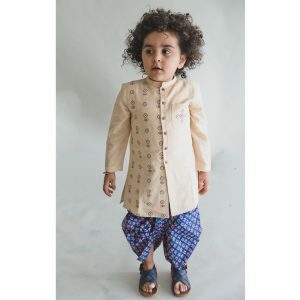 Let your son look like a smart little prince in Indian traditional attires. 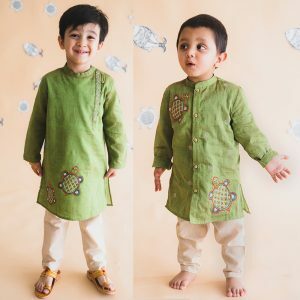 We at Curious Village offer a complete range of apparels that will make your little prince charm flaunt in the party or wedding or any festival or occasion. 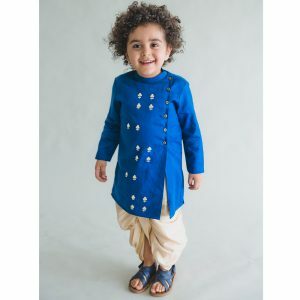 We have stylish boys’ Indian wear Bandhgala dhoti set, Bandgala with Jodhpuri pants, sherwani with kurta and churidar, Pathani set, kurta pyjama, Nehru jackets, kurta with Patiala and so on, which are made of a fine quality material and stunning embroidery. 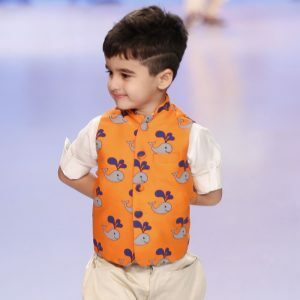 These are the stylish and comfortable collection that you will love to add to your kid’s closet. They are an all-time appeal for the boys. 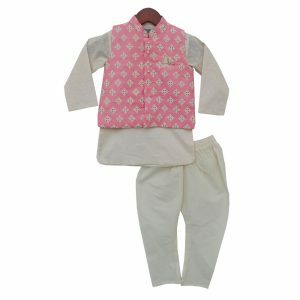 The beautifully designed attire in high-quality fabric and color sets a festive mood. 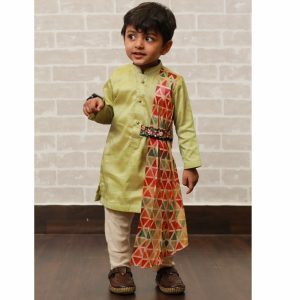 Stylish and classic Indian ethnic attires for boys of age group 1 year to 12 years promise a fabulous look on any occasion. 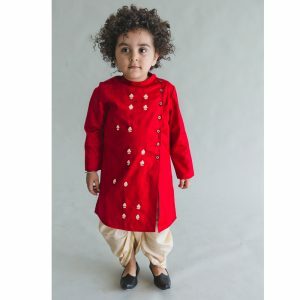 They will look cute and graceful as a prince in these outfits. 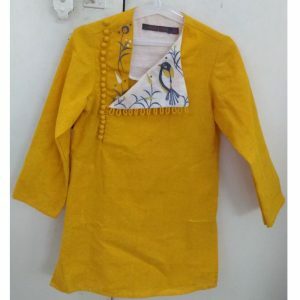 The kid’s Indian dress market has traditionally dominated the entire world. Various popular brands are coming up with stunning and smart outfits every season. 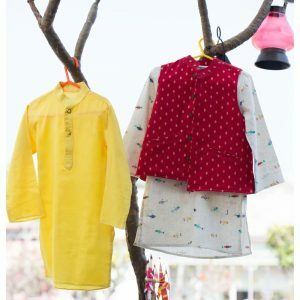 We at Curious Village have a wide range of ethnic collection, beautifully designed by famous brands, Lil angels, Chiquitita, Tiber Taber, Fayon kids and so on. 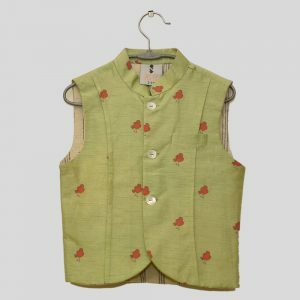 Feel free to shop outstanding Indian wear to enhance his personality.